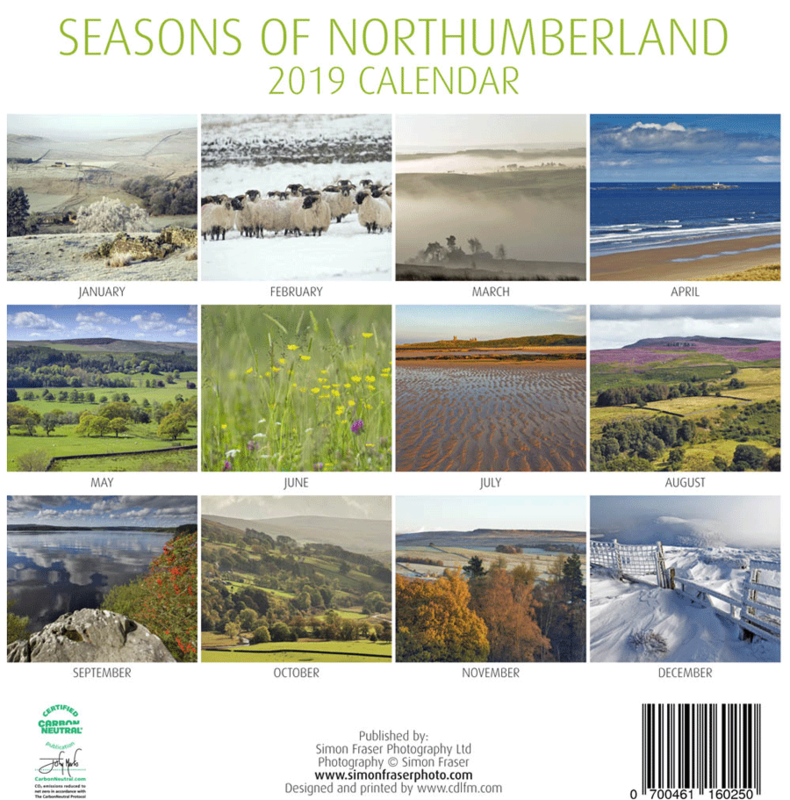 The Seasons of Northumberland calendar is 230 x 230mm, opens to 230 x 460mm, comes in a cellophane sleeve, and includes a mailing envelope. 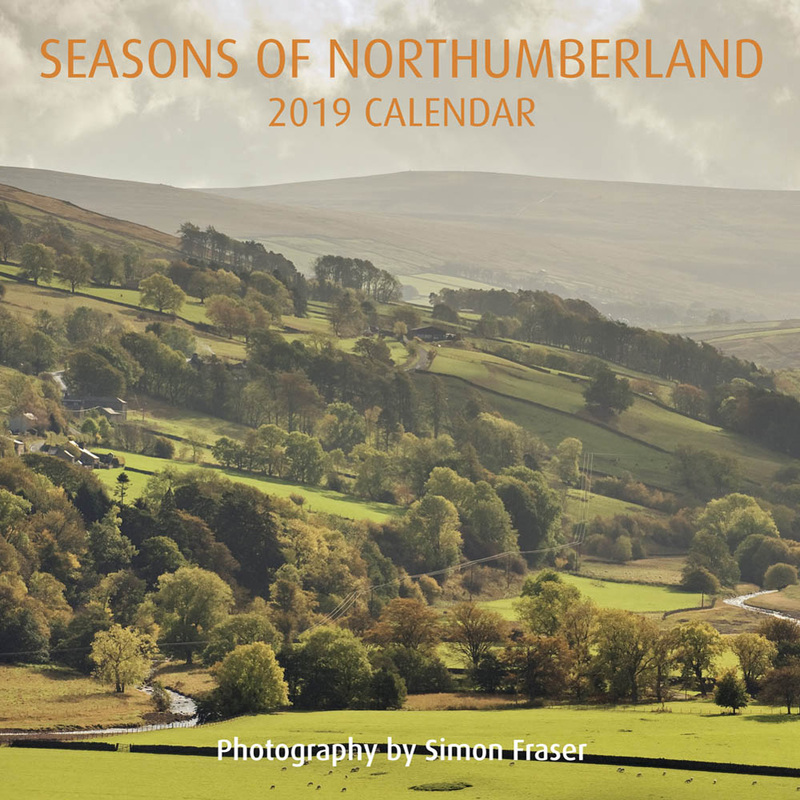 The calendar includes views of the Northumberland National Park, the Northumberland Coast, Allendale, Kielder and the Cheviot Hills. The calendar depicts the beautiful landscapes of Northumberland with a full page image and date grid for each month.